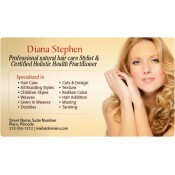 Custom hair care magnets are effective and economical items to promote hair care services. 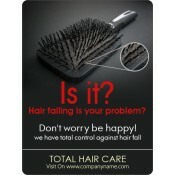 Customized magnets are low cost methods to grow recognition for your hair salon. Largely availed for individual advertising, you can gift away these colorful and beautiful hair care services magnets during tradeshows, in-store promotions or even send them as a mailer to your regular clients. Order these custom beauty and salon magnets in wholesale and avail the lowest bulk order price on the internet! Hair salons are having a hard time to manage their existing customers and difficulty in inspiring new people to come to them. With so much pressure on looking great at all times, women are always particular on getting their haircut done from reputed services. 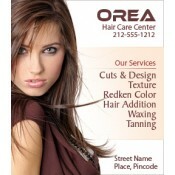 They largely depend on referrals and local advertisements while selecting the best hair salon and beauty services. This means hair salons should concentrate on building their strong local presence more than anything else. Over the years, they might have depended on business cards, flyers, pamphlets, large car decals, billboards, newspaper ads and more to promote their business. However, this time they can try by indulging in these promotional hair care refrigerator and outdoor magnets. These personalized magnets offer enough room for printing business logo, persuasive visuals and contact information. 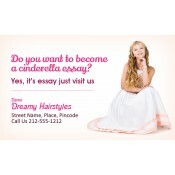 Hair care salon owners can touch creative extremes by availing these custom magnets because we offer free full color printing on all our products. Staying picture perfect is a necessity at all times and women never mind hearing about such places. Therefore, hair care salons can distribute logo printed and colorful advertising magnets during all those occasions when women are in a jubilant mood. They would love to retain colorful magnets over their working cabins, refrigerator doors or other visible surfaces and won’t mind charting up their next hair care session by looking at it. We offer free shipping anywhere within the contiguous USA. You can save on art setup, online design proof and oodles of efforts that goes in making a perfect branding material. It doesn’t matter to us whether you are new in this niche or already an established business; we are ready to serve you. We offer assistance from scratch and help you to model your dreams into marketing messages. Avail of our tailored pricing benefits on all orders. To know more about customization, pricing and distribution of these beauty care promotional magnets, feel free to contact us at 855-762-4638 (Toll Free) or write to us at info@CMagnets.com.